When it comes to weight loss, more often than not it’s an uphill battle. So many people say they want to lose weight, but have a hard time with it once the reality hits. Making sacrifices in your diet and incorporating exercise into a busy schedule is not always easy. What’s important to realize is that even losing five or ten pounds can have a major difference on your health and happiness, and really kickstart a further weight loss journey. Shedding just 5% of your body weight (for those weighing 200 pounds, that’s just 10 pounds) is enough to decrease total body fat, visceral fat which clings to your organs, and liver fat. Plus improved insulin sensitivity which means lower risk for Type 2 diabetes. A 2009 study surveying 900 weight loss patients found that those who lost 5-10% of their body weight had higher physical function and self-esteem. Furthermore, simply understanding the benefits of losing those few pounds is a huge motivator in continuing to lose weight. It’s no question that the very beginning of your weight loss journey can have major effects on your overall health. The hard part is figuring out how to do it and then making those necessary changes in your life. The key to making that initial progress in losing weight is to understand what works and then stick to it. Having a coach to guide you and keep you on track drastically improves your chances of that happening. The Ideal Protein program available at Monmouth Pain & Rehabilitation provides you with a personal weight loss coach to teach and motivate you, as well as a specially formulated diet program with Ideal Protein products that supplement your diet. Deprivation is not an issue in this program. You’re eating four meals a day and still getting tasty food, but you’re being guided on what to eat and when to eat it. It’s not about starving yourself, it’s about understanding your body, and that’s what makes losing those first few pounds more of a reality. Ideal Protein clients typically get results right away. In fact, 55% of MPR’s dieters lose more than five pounds in the first one to two weeks. For most dieters working on their own, it’s that initial hurdle of starting to lose weight that’s the hardest part. 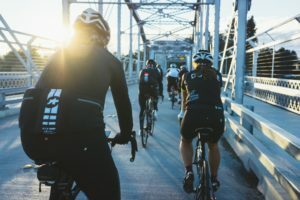 MPR’s Ideal Protein coach Laura explains, “the first step to regaining control of your life and your body is to understand what’s going on,” and the formula of the Ideal Protein program ensures that. Laura feels that the problem with unguided weight loss is the blame game. Most dieters who fall off their regimens typically blame outside factors if they don’t see results right away. With Ideal Protein, however, it’s clear cut what you’re supposed to do, and you’ve got your coach holding you accountable, which makes it easier to commit. She further explains how impressive those first few weeks of Ideal Protein really are. “The first noticeable difference is in my clients’ energy levels. 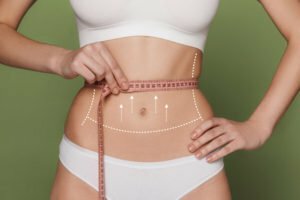 Their energy skyrockets while those first five pounds are being shed!” In addition to that, bloat dissipates and skin elasticity improves. One thing you can count on, no matter what diet or regimen you follow: once you lose those first five or ten pounds, you won’t want to stop. When people start accomplishing their goals and see results, it’s a given that they’ll want to keep it up, especially when it’s so doable on a program like Ideal Protein. 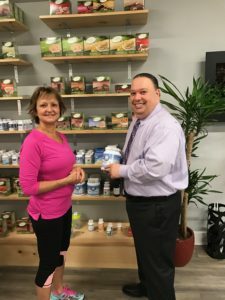 To book a consult in Wall Township or Shrewsbury with our Ideal Protein coach Laura and start your journey to lose those first few pounds and more, call 732-345-1377 or fill out the form on this page. It doesn’t have to be an uphill battle to improve your health and well-being! Written by Dr. Frank Fuscaldo, Jr., M.S., D.C., D.C.B.C.N., C.N.S. Knee pain can be caused by many things, such as strenuous physical activities, injuries like sprains or strains, tears in the ligaments or cartilage (meniscus), arthritis, and lack of use, just to name a few. The pain can be acute (having a sudden, recent onset) or chronic (having a long duration). In most cases, knee pain is accompanied by stiffness, swelling and inflammation, regardless of the cause or length of time you’ve had the pain. For many people, knee pain can become so severe that it limits their daily activities. For others, the pain can be a mild annoyance that can still prevent them from doing the things they love to do. In either case, knee pain should not be ignored. There are many treatment options for patients with knee pain. They vary from exercising and Physical Therapy treatments, to knee injections, or even surgery, depending on the severity of the condition. There are also many nutritional supplements that can help reduce the pain and inflammation even in the most severe cases. In almost all cases, these nutritional supplements are not only safe, but very effective in helping the patients manage the pain and inflammation. Turmeric is a spice that contains curcumin which is an extremely powerful anti-inflammatory compound. 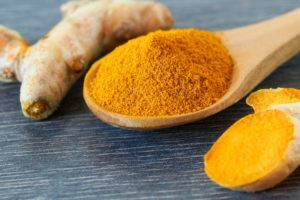 In fact, many peer-reviewed journal articles have found that turmeric is more effective and safer than using certain conventional anti-inflammatory and pain relieving medications. The curcumin found in turmeric has been found to play important roles in various stages of the inflammatory process on a molecular level. For these reasons, turmeric can be very beneficial in helping to reduce knee pain and inflammation. Most people think of taking vitamin C to prevent colds and boost our immune system. However, vitamin C is essential in the production of collagen, which is the main structural protein found in muscles, bones, skin and tendons, where it helps to provide strength and structure. Vitamin C is also needed for the metabolism of joint cartilage and is also a powerful antioxidant found in joint fluid. A good intake of vitamin C can help reduce cartilage loss and reduce joint inflammation. Vitamin D is essential for human health. Unfortunately, vitamin D deficiency is becoming a widespread health concern. While vitamin D has always been linked to bone health, recent studies have also linked vitamin D deficiency to joint pain. Getting enough vitamin D from your diet alone is nearly impossible. It is therefore necessary to take a high quality nutritional supplement to achieve and maintain a healthy level of vitamin D.
Omega-3 fatty acids are considered essential in that they are necessary for human health, but the body can’t make them. Therefore, you need to get them through food, such as fish, some plants, nut oils, and/or nutritional supplements. Unfortunately, we cannot get enough Omega-3 fatty acids from the food we eat, so supplementing with a high quality pharmaceutical grade or molecular distilled fish oil is necessary. 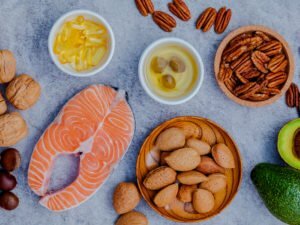 Omega-3 fatty acids have been shown to reduce the production of certain substances that are released during the body’s natural inflammatory response, thus helping to reduce pain and inflammation. These are just a few suggestions for helping you manage your knee pain using natural, safe and effective alternatives to conventional medications. 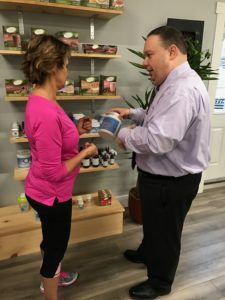 The above-mentioned supplements are all available at Monmouth Pain and Rehabilitation, and are all of the highest quality available. If you have any questions, or would like to discuss these options further, please feel free to schedule a FREE nutritional consultation with Dr. Fuscaldo. To book your consultation, fill out the form on the right side of this page or call 732-345-1377. To learn more about MPR’s nutrition program, click here. Top 5 Pain Myths, BUSTED! Pain is a burden everyone deals with throughout their lives. It could be a short-lived, acute injury or a chronic long term condition. Regardless, the pain is there and it can be very burdensome and frustrating. 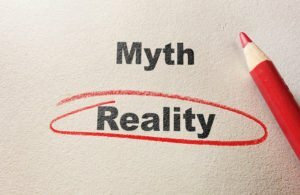 Since pain is so common, there are a lot of misconceptions and myths relating to pain that we will bust today. These myths could hinder your treatment and relief and therefore are important to discuss. On the other hand, some of these myths, although silly-sounding, are in fact true. Weather can affect your pain. If your joint pain gets worse in the cold and/or when it is raining, it’s not your imagination. Studies have shown mixed results, but overall, changes in barometric pressure can cause some people to have increased pain. When the weather gets warmer, known as “high pressure system”, the increased pressure usually brings about relief. Rest is good for back pain. Apart from immediate post-injury or surgical recovery, complete bed rest is one of the worst things you can do for back pain. If you are inactive, your body becomes quickly deconditioned, causing more pain when you start moving. 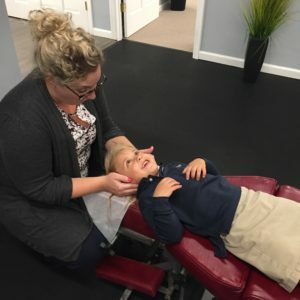 Stretching and strengthening under the supervision of a medical doctor and/or physical therapist and chiropractor at our facility can help ensure that you are protecting yourself from increased pain in the long run by facilitating healing in a supervised and professional manner. The pain is in your head if there is no medical cause. Just because medical doctors cannot find an exact source of your pain, does not mean you don’t feel it. Due to the complexity of the human body, it is not possible to determine all the possible causes of nociception, which is your sensory nervous system’s response to certain stimuli. Fibromyalgia and chronic fatigue syndrome are just two of the many hard-to-pin down conditions that may cause persistent pain. You don’t need to worry about minor pain. Many people believe that pain is just something to live with. Pain should not be ignored, especially if lasting more than a week or two and interferes with your activities of daily living. Think of pain as one of the lights that pop up on your dashboard. That light is indicating that something is wrong and you should seek medical attention. Pain is a natural part of aging. Just like gray hair and wrinkles, a few aches and pains are a part of everyone’s life. Chronic pain, however, does not have to be. Most people should be able to live relatively pain-free lives as they age. 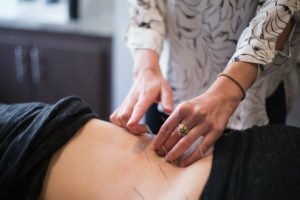 If you are bothered by acute and/or chronic pain, our medical doctor, staff of physical therapists, chiropractors, acupuncturists, and massage therapist can help you find relief. Call Monmouth Pain today for a free evaluation ($245 value) and get pain-free today! You can reach our Shrewsbury and Wall offices at (732) 345-1377. The holiday season has come and gone and the new year has started with great promise. However, for many of us, the holiday season brought increased consumption of alcohol and foods that have higher amounts of salt, sugar and unhealthy fats, leaving us with a few unwanted items, such as weight gain, mental and physical fatigue, sluggishness, and a weakened immune system. This is often followed up with New Year’s Resolutions to lose weight, eat healthier, and exercise more. But how long do these resolutions actually last? It’s been estimated that more than 50% of Americans make New Year’s Resolutions, but only 8% of those succeed in achieving their goals. In most cases, people fail to achieve their goals because they don’t have the information or the tools necessary to successfully complete their New Year’s Resolutions. That is why Monmouth Pain and Rehabilitation is excited and proud to begin offering our patients a chance to participate in the ClearVite Detoxification Program from Apex Energetics. What is the ClearVite Detoxification Program? The ClearVite Detoxification Program is a 21-day nutritional and detoxification support program. The program is simple to follow and uses a specific dietary plan along with one of several ClearVite formulas. The ClearVite product is a multivitamin, mineral and herbal dietary supplement powder. There are several ClearVite formulas based on the patient’s needs and/or flavor preferences. However, all ClearVite options contain key nutrients and cofactors that have been shown to be necessary to support the detoxification reactions and process. These include important vitamins, minerals, amino acids and phytonutrients that help support blood sugar metabolism, as well as gastrointestinal health; digestive enzymes to support nutrient digestion and absorption; antioxidants to support the liver; key botanical extracts to support bile formation, secretion, and elimination; lipotropic nutrients to support the breakdown and utilization of fat; and additional nutritional compounds to help with energy levels. First-time users of the ClearVite program should adhere to the 21-day program. However, the program can be easily modified to a 14-day program to suite the patient’s needs and/or healthcare goals. For patients who require additional detoxification support, additional dietary supplements may be included to maximize the detoxification program. Is the program difficult to follow? The ClearVite detoxification program is very easy to follow and comes with specific instruction on which foods to eat, which foods to avoid, and how much and when to take the ClearVite dietary supplement powder. Do I need to spend a lot of money and buy lots of products? The simple answer to this is NO. In fact, to perform the basic ClearVite detoxification program, you will only need to purchase on container of the ClearVite multivitamin, mineral, and herbal dietary supplement powder. This product is very affordable and can be purchased at our office. Please contact our office for prices. 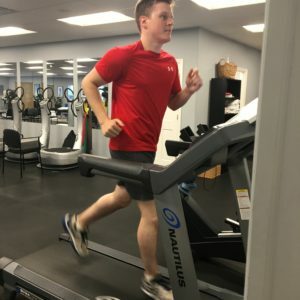 Can anyone perform this program? Most patients will have no restrictions in performing this program. However, as with any new dietary and/or supplement program, it is recommended that you consult with the appropriate healthcare professional to determine if you are eligible to safely perform this program. For purposes of the ClearVite detoxification program, you may contact our office to schedule a FREE consultation ($245 value) with myself, Dr. Frank Fuscaldo, Jr., before starting the program. I am a Board Certified Clinical Nutritionist, as well as a Certified Nutrition Specialist, who can help you determine if you are eligible to safely participate in this program. If you have any questions, please contact Monmouth Pain and Rehabilitation at 732-345-1377 or fill out the form on this page. 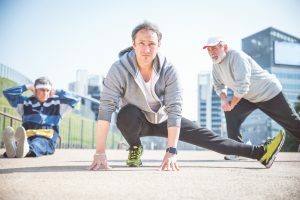 Working out and staying limber gets tough as we age. Once our bodies hit 35, science has shown that the good hormones necessary for working out and recovery take a serious nose dive. Moreover, we fail to appropriately adapt our lifestyles and training regimens as we get older. When we are younger, we can afford to make more mistakes in lifestyle and training without significant consequences on performance. As our bodies age, there is far less margin for error. Staying lean and building muscle, while not impossible, becomes much more challenging to achieve. Life happens; kids, work related stress and adult responsibilities take a toll on our bodies and serve as serious roadblocks to maintaining optimal health. Let’s address a few notable areas to help improve general health and well-being. Greater focus needs to be placed on consistency of exercise and recovery from your workouts. One simple item is going to bed early enough for your body to recover. Getting adequate amounts of regular sleep allows your body to cope with accumulating physical stresses. Another important factor is varying the intensity and volume of workouts. I tell patients all the time that frequency, duration and intensity are the three key elements we look to change during the rehabilitation process. During training, these three elements are also the only ones that can be manipulated. As we age, intensity needs to increase while duration needs to be conversely less. This change typically results in shorter sessions with higher intensity. This stimulates muscle growth while shortening your recovery time; allowing you to receive the maximum benefit from your workout. Track what you eat – modifications to your diet are critical. Proper nutrition is a close second in effective recovery techniques. During the recovery period, getting adequate amounts of protein and carbohydrates is essential for optimal recuperation immediately following a high stress workout. Meals should be based on wholesome carbohydrates, protein rich foods and healthful fats such as fish oils. The bottom line is eat clean, drink plenty of water and exercise regularly. Our needs don’t change all that much from when we are younger, we are just able to overcome the shortcomings much easier at a younger age. Michael Sabatino, DPT is the Director of Physical Therapy at Monmouth Pain and Rehabilitation. Monmouth Pain is a group of Physicians, Physical Therapists, Chiropractors, and Acupuncturists working together to offer patients the most comprehensive, well-rounded, and successful plans of pain management imaginable. Call 732-345-1377 or fill out the form on this page to request a consultation at the Shrewsbury or Wall Township location. Suffering from Arthritis? Spice up your Life! 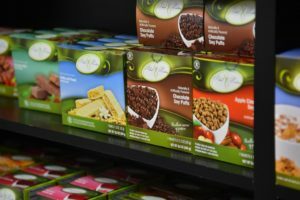 We often have herbs within arm’s reach from our cooking station, to add flavor to a family meal, romantic meal, or a healthy meal. It can change an ordinary chicken dish into a work of art from its flavor to its visual, tantalizing appearance. So how do herbs tie into our mission at MPR? Well, we do have some culinary hobbyists onboard, but for the purpose of this document, let’s focus on its medicinal purposes. So stock up on those planters, dirt, watering cans, and herb seeds and let’s get the garden started. Of course, be sure to research eco-friendly deer deterrent options, I’d hate to see all your hard work gobbled up at dusk! 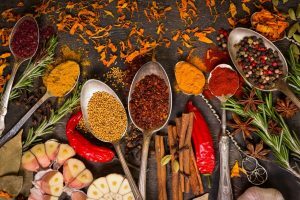 Before we get started on the top herbs for alleviating arthritic pain, let’s take a look at some arthritic symptoms, as they relate to the knee. It’s important to be sure that your symptoms fall within the area so we can accurately partner up the symptom with herbal treatment options. Now that we have identified some of the symptoms, let’s get to the informative part; holistic use of herbs. Many of these herbs may be familiar to you, however, some of their uses may come as a surprise. Aloe Vera: This healing gel can be applied to achy joints. Boswellia: Also known as frankincense, this alternative medicine works to block leukotrienes which are also known to attack healthy joints. 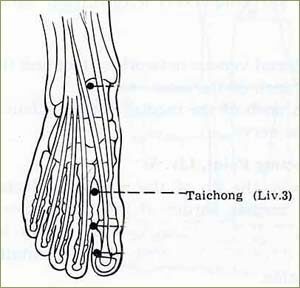 Cat’s claw: Used to help reduce swelling in arthritis. The downside is that it can overstimulate the immune system and make arthritic pain worse. Eucalyptus: The leaves can be used to treat pain. Ginger: Often used to soothe the digestive track, this compound has some healing qualities too. Green Tea: This herb treats inflammation and can be taken in either beverage or tablet format. Thunder God Vine: This herb can be applied directly on the skin and can help with rheumatoid arthritis. Turmeric: Not only known for it’s vibrant color but also for its ant-inflammatory properties. Keep in mind, that although holistic, these herbs can have serious side effects so be sure to do additional research. Who knew a herb could be so healing? Well now you do! 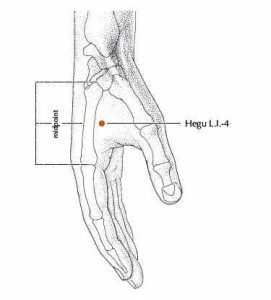 In closing, when treating arthritic pain whether in your knees, fingers, shoulders, etc. it is important to keep in mind that herbal supplements are best used to compliment a medically supervised arthritis treatment program. At Monmouth Pain & Rehabilitation, we are a multi-disciplinary facility with a comprehensive Arthritis Treatment Program. 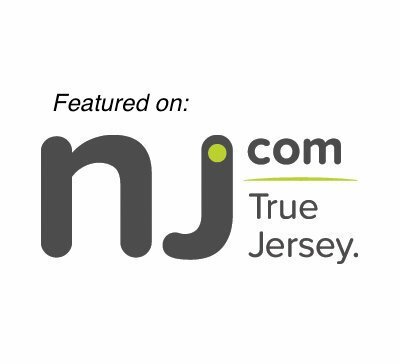 Our practices are conveniently located in Red Bank and Wall Township, NJ and come highly recommended by physicians across Monmouth and Ocean County. Fill out the form on this page or give us a call at 732-345-1377. Let us know you read our blog and you will receive a FREE consultation (a $245 value).